Michael Ritscher heads the IP and technology team of Meyerlustenberger Lachenal Ltd, an exceptional and top-ranked group of professionals involved in the full range of IP and IT legal matters that was built by Mr Ritscher. Mr Ritscher is recognised as one of the most experienced and esteemed IP litigators and arbitrators in Switzerland and a thought leader. He has an extensive patent litigation and arbitration practice covering a broad variety of sectors, including a strong pharmaceuticals and life sciences component, and also regularly represents clients in trademark, design and copyright disputes. Over the course of several years, Mr Ritscher has advised and represented a leading manufacturer of designer furniture in all of its worldwide IP matters. He is also a reference for companies in other sectors, which regularly seek his support to handle their cross-border contentious affairs involving Swiss, EU and international law. In trademark law, Mr Ritscher is usually at the forefront of precedent-setting cases. He has particular expertise in handling worldwide trademark and design portfolios, is a key player in law-defining proceedings and advises on numerous other pioneering issues. 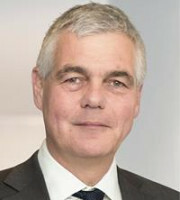 Mr Ritscher is also president of INGRES (the most active Swiss IP association) and a special judge for non-technical IP disputes at the Zurich Court of Commerce.